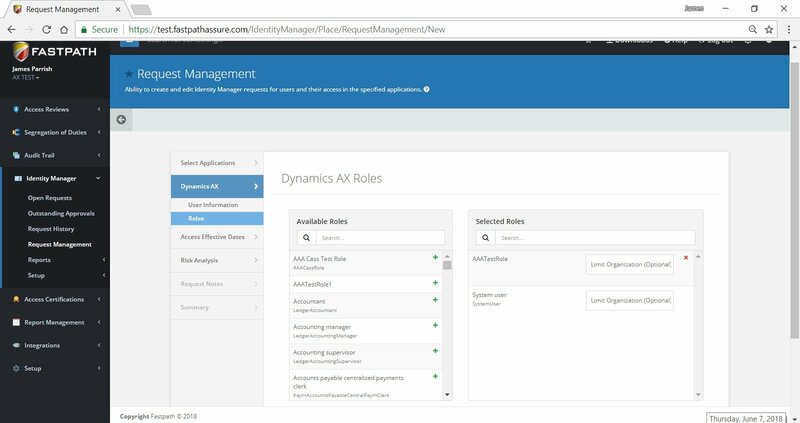 Who has access to your Dynamics AX data? User Access Conflicts Exist in AX, Can You Easily Find Them? 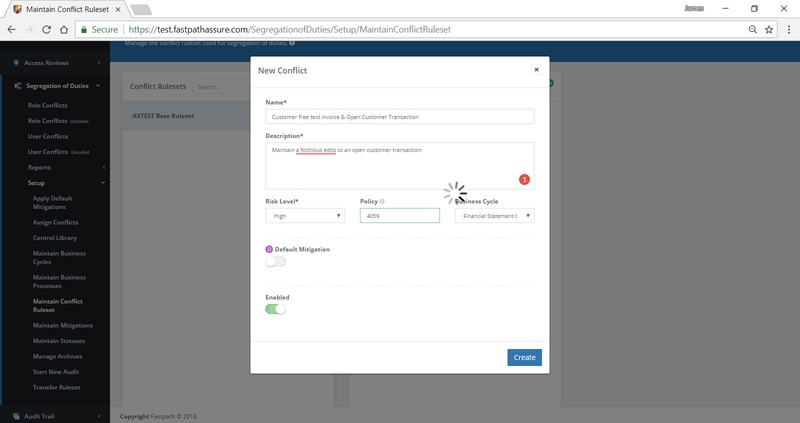 The Fastpath Assure Segregation of Duties (SoD) module reviews user access in AX and reports existing conflicts for mitigation. Recognizing the risks existing in your Dynamics AX environment is essential to sustaining security and compliance. But the native functionality may not make this easy. Businesses need a simple, yet comprehensive way to detect, record, and mitigate SoD conflicts in Dynamics AX or any business software. 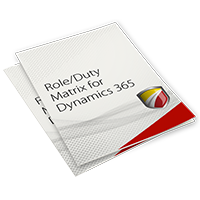 This power can be gained by the SoD tool with an out-of-the-box ruleset for Dynamics AX, designed by auditors to meet and surpass industry standards. The ruleset is fully customizable to your specific needs and will be automatically applied to your company’s environment to find where your risks exist. 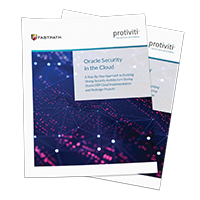 Fastpath Assure gives companies the ability to document mitigations for any conflicts that exist, providing the reporting needed for management and audits. 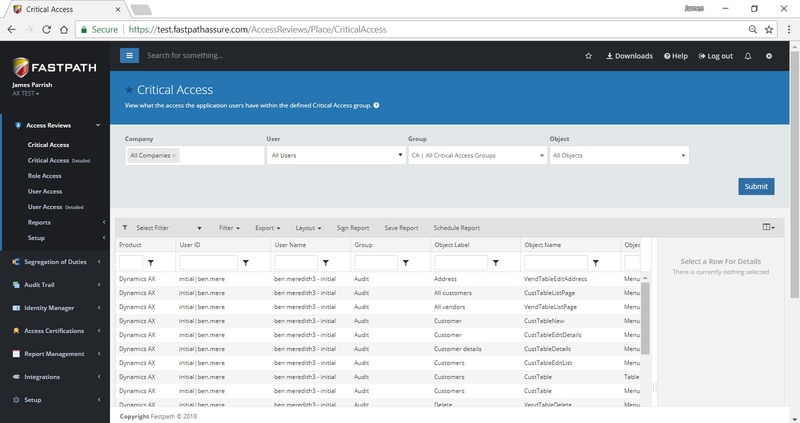 In Fastpath Assure the Audit Trail module tracks user activity in Dynamics AX, reporting changes, when and by whom. Tracking changes made to Dynamics AX is imperative to maintaining the security of your data. Not only do you need to know when something is changed, but who changed it, as well as the before and after values of what was changed. Having this capacity allows you to correct errors, and more importantly prevent misstatements and fraud. The Audit Trail module allows companies to track changes throughout AX, whether they are made in Dynamics AX or in SQL. 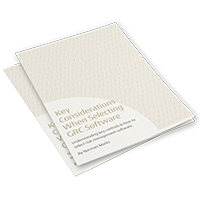 Including templates focusing on the highest risk tables and fields to continuously monitor changes made in Dynamics AX or by external add-ons, without hindering system performance. In Fastpath Assure the Identity Manager module streamlines user access requests and approvals, without IT involvement. User provisioning may be one of the most important aspects of your Dynamics AX security. Which is probably why it seems to take so long for even basic user edits to be approved. Many times, we find the approval process to consist of a tangled web of approvers giving manual sign-offs, before requests end up with IT and sit at the bottom of their support queue. With our Identity Manager module, you gain the ability to automate this process and increase its security. Requests made in Identity Manager go through a customizable workflow of approvers based on the permissions requested and who is requesting them. The requests can be viewed, approved, or denied from the application or even from the approver’s outlook inbox. With the integration of the Fastpath Assure Segregation of Duties (SoD) module, each request includes a SoD analysis, so risks can be recognized by the requester and each approver prior to decision making. Once approved, the request is automatically applied, without the need for IT. 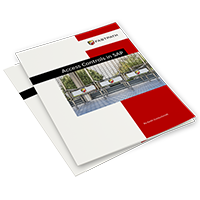 The Fastpath Assure Access Review module pulls user access from AX for security review and sign off. It can be difficult to review who has access to critical or sensitive areas of your data, but understanding that access is essential to Dynamics AX security. For many companies, this is a time-consuming manual process consisting of reviewing dozens of reports just to narrow down specific areas of access. To maintain security and compliance, these reviews should be done regularly, but with such an arduous process they tend to be put off until either audits or issues arise. The Access Review module simplifies and automates Dynamics AX access reviews by pulling the data directly from AX on demand. The module gives companies the ability to quickly analyze user access to sensitive areas continuously, improving security and reducing the resources needed to run these reports on a regular basis. With access reviews readily available, user access can be controlled efficiently and even help maintain effectual Dynamics AX user licensing. 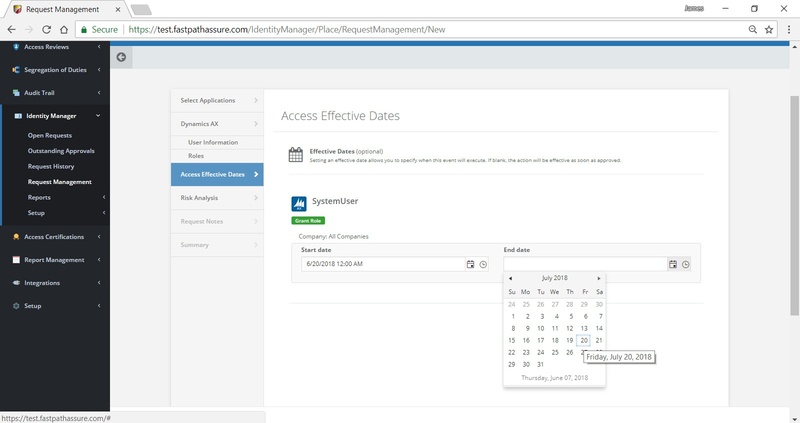 The Fastpath Assure Identity Manager automates access requests, including temporary access scheduling. Businesses may find that projects and other temporary situations may demand users gain additional access above or beyond their standard allowances. This could be to cover someone who is out sick, firefighter access after hours, or just an uncommon task. When these emergency access situations arise, you need to be able to quickly provide the access, but also maintain the security of your system. 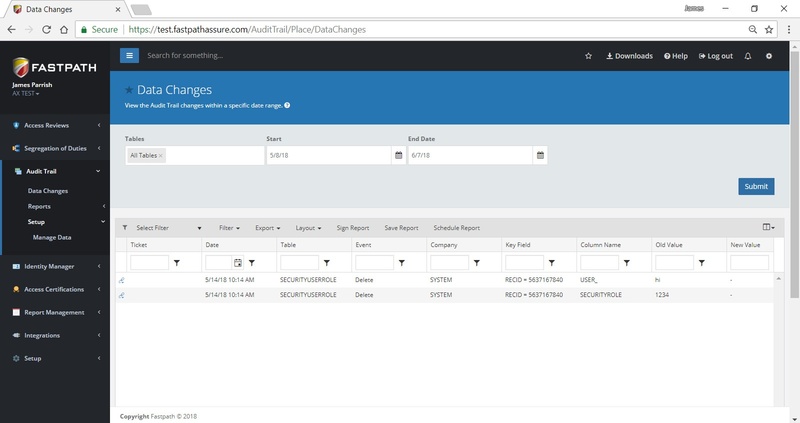 With the Identity Manager module, you can easily make access change requests and automate the approval process. You can set a start and end time based on the specific needs, as well as get an immediate report as to what conflicts are inherent in the new access prior to approval. If you’re interested in monitoring what users do with their access, check out the change tracking capability of the Audit Trail module. INTERESTED IN A DEMO OR PURCHASING? Arrow S3 needed the ability to deliver specialized reporting to Arrow Electronics’ internal SOX audit team, but they lacked the staff and tools to deliver. We are all concerned with security – in every aspect of our lives. We are especially concerned with security and control when it comes to our business processes. In this E-book, we will walk through the necessary steps to take a least privilege methodology to secure your Microsoft Dynamics AX 2012 environment.